Home » 2018 Topps Stadium Club , Baseball Cards , Review , Topps , Topps Stadium Club » 2018 Topps Stadium Club Review - Is it time for Topps to make Stadium Club their flagship product? 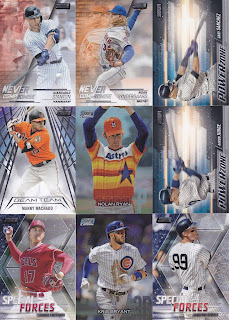 2018 Topps Stadium Club Review - Is it time for Topps to make Stadium Club their flagship product? With the release of 2018 Topps Stadium Club Baseball, the iconic baseball card manufacturer has made a contender for their new flagship product. With a focus on premium images, the action shots bring the photography to the forefront of baseball card collecting. Upon its debut, collectors raved about the quality look and feel of 2018 Topps Stadium Club. They immediately hailed it as the release of the year, as the crisp image selection far surpassed the standard Topps issue. Immediately, aficionados questioned whether Topps would be served better by making Stadium Club their annual focal point. Should Stadium Club be Topps' flagship product? Imagine the anticipation for the first series of baseball cards for the year if they were in the striking mold of Topps Stadium Club. The high quality photography alone would draw interest from a young generation looking for something exciting to grab on to for the upcoming season. Experienced enthusiasts will swiftly recall Topps Stadium Club’s early 1990s debut and its immediate ascent to the top of the sports card ranks. The glossy UV coated cards were well unlike their cardboard predecessors, as we marveled at the full bleed photos and made them the centerpieces of our collections. Twenty-five years later amongst the sea of Topps releases, Stadium Club remains a coveted force many of the same reasons. One upgrade Topps made to the base set in recent years is the addition of retired Hall of Famers and legends to its ledgers. Looking at the likes of Jackie Robinson and classic black and white photography or Bo Jackson memorialized in a photo similar to his 1987 Topps card, Stadium Club has went to great lengths to captured the essence of both the past and the present in its set. The inserts are bountiful in this release, as each box guarantees two on-card autographs, only further adding to the appeal of 2018 Topps Stadium Club. The Members Only subset returns, serving as a nod to their 90s counterparts, and the Chrome inserts (1 per box) are a slept on bonus for those who purchase an entire box. 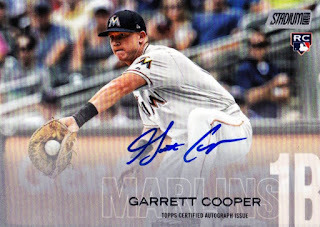 Should collectors chase after 2018 Topps Stadium Club amongst the robust palate of Topps releases this summer? Absolutely. With a heavy focus on top-notch photography, 2018 Topps Stadium Club is all about the experience, a vivid one that puts fans nose-to-nose with the action. What are you waiting for, jump right in here.